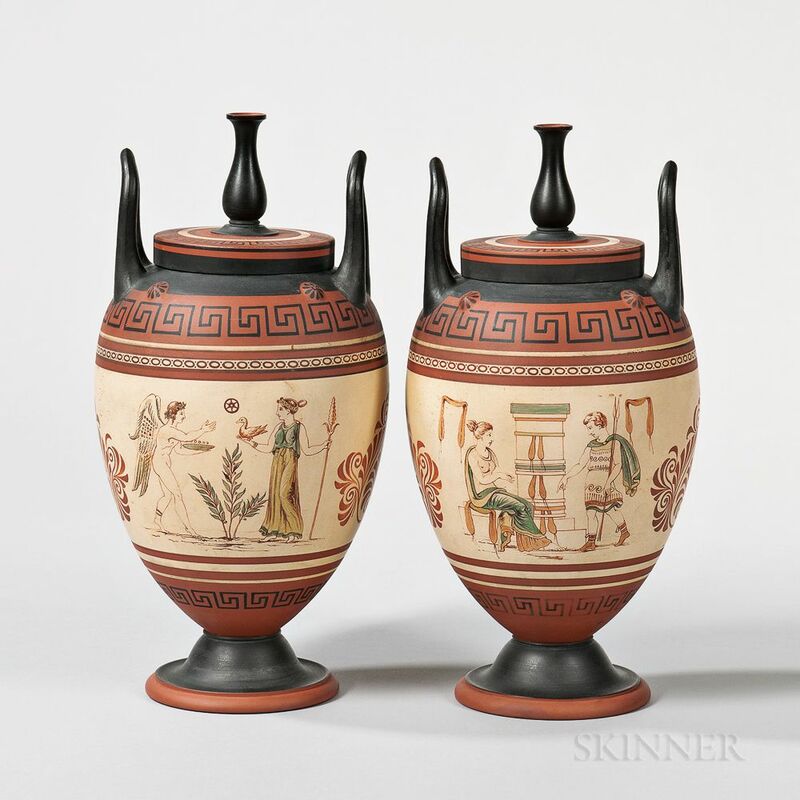 Pair of Wedgwood Encaustic Decorated Terra-cotta Vases and Covers, England, c. 1862, lebes gamikos form, the flat cover with urn finial, the vase with upturned loop handles, bordered in black with meander bands flanking a central cane ground band decorated with iron red classical subjects and palmettes, impressed marks, ht. 11 3/4 in. Covers: One with a rim chip professionally restored. 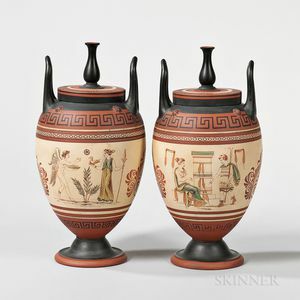 Vases: Each in very good condition throughout.